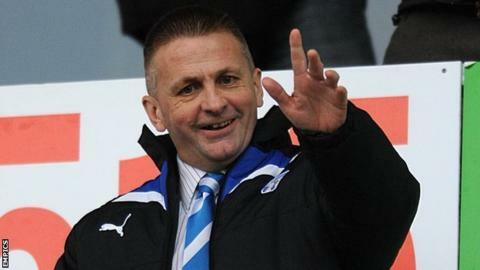 Chairman Robbie Cowling has said Colchester United can deal with relegation but cannot afford to be denied Category Two academy status. Colchester are trying to prove that they meet the required standard as part of the Elite Player Performance Plan. The U's all but sealed their League One safety with Saturday's 4-1 victory against already-promoted Brentford. Cowling said: "Relegation would be massively disappointing, but failing the audit again will be devastating." Talking to Late Kick Off East, Cowling continued: " We need Category Two status - it gives us extra funding, which is important, it gives us a much better games programme where we play better teams week-in, week-out, but it also gives protection for our players so that others just can't come in and poach them - that is the most important thing. "Being Category Three, we can spend lots of money developing player, but they will just get poached before we truly get the benefit of them in the first team and benefit of funds if we do well them on to bigger and better things." Colchester have spent the past three seasons reducing their playing salary, and will continue to do so, to invest in youth facilities and the production of homegrown players. The Elite Player Performance Plan (EPPP) is a national structure for academies first put forward by the the Premier League. Category One status allows clubs to recruit across a larger area and to enter their under-21 side into stronger competitions, but is more costly with a budget of more than £2.3 million. The U's are aiming for Category Two status, having fallen short of the required standard by 3% following an assessment by an independent audit panel last year. However, they have continued to run the programme with a budget of £1 million. Colchester manager Joe Dunne was dismayed when their initial bid was denied, and insists the club are focused on promoting more youngster like Alex Gilbey, 19, who has made 38 appearances this term, and 18-year-old forward Macauley Bonne, who has featured 15 times this season. "The budget gets cut every year and is getting cut again next year, but that is to bring it in line with our philosophy about bringing kids through," said Dunne.